The saints at the First U.P. Church of Crafton Heights marked the fourth Sunday of Advent 2016 by giving some thought to what it means to be a people of peace in a culture that seems riven by conflict. 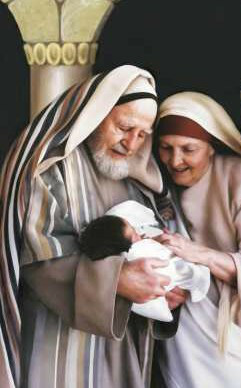 Our texts included Isaiah 2:1-5 and Luke 1:67-79. I do. I mean, I really do. I’ve been watching more and more of it in recent months. 20 years ago, you could say that I had a passing interest in the game. That grew to the point where 10 years ago I might have been called a “mild” fan. Now I find myself watching most of the games on TV, and I even go to a few. I love it. 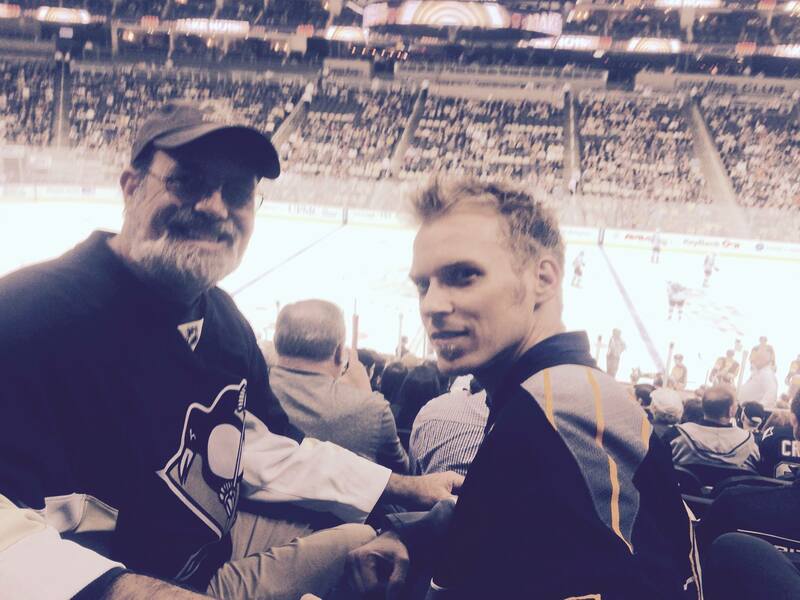 A couple of months ago I came across a pair of tickets and so my neighbor Ron and I went to see the Penguins take on the Sharks in a rematch of this year’s Stanley Cup finals. Early in the second period, the Sharks scored and that quieted the fans down a bit. Not long after that, it appeared as though Hornqvist put one in for the Penguins, but the replay showed it was a bad goal, and so it was disallowed. And then the Sharks scored again. In the third period, the Penguins scored three times in seven minutes and ended up winning the game. I like hockey – in part, because it’s possible for my team to come back in a big way. Believe it or not, there’s an Advent connection here. Today is “peace” Sunday. We’ve talked about the ways that Advent leads us toward hope, love, and joy; today we are considering the notion that peace is reflective of the Lord’s intentions for his people. Sometimes, I just don’t get it – we come in here and we read these words about swords being beaten into plowshares and spears into pruning hooks, but I don’t know, man. I mean, don’t get me wrong, Jesus – I’m a big fan… But when I look around at what’s going on in the world – even in my little corner of it, which is a pretty sweet little corner… it seems like we’re in a really tight spot. This is worse than a 2-goal deficit, if you know what I mean. I just don’t see how Team Peace can pull this one out. There always seems to be more hatred, more violence, more death. It’s hard. I mean, it’s just really hard some times. I said I like to watch the hockey games. And at least once a week, I do. But when I watch them, I use the amazing little feature called DVR – that allows me to skip the commercials and, more importantly, the intermissions. I turn on the game at 8 or 8:30 and I watch it straight through. On November 16, the Pens went down to Washington and played the Capitals. It was horrible – they wound up losing 7-1. I can guarantee you that I didn’t watch that whole game. I mean, we fall behind 4 – 0, 5 – 0… it’s time to let my wife have the remote control. I don’t have time to watch that kind of performance. Why? Why do I give up like that? And secondly, I stop watching because I’m well aware of the fact that I have no impact on the outcome of the game. I’m a fan. I’m not even in the same city, often. What can I do about it? But if you’ll allow me to extend the metaphor a bit, I’m not merely a fan of Team Peace. Like you, I’m one of the players. I have a stake in the game, and I have a responsibility toward the other players and the team. 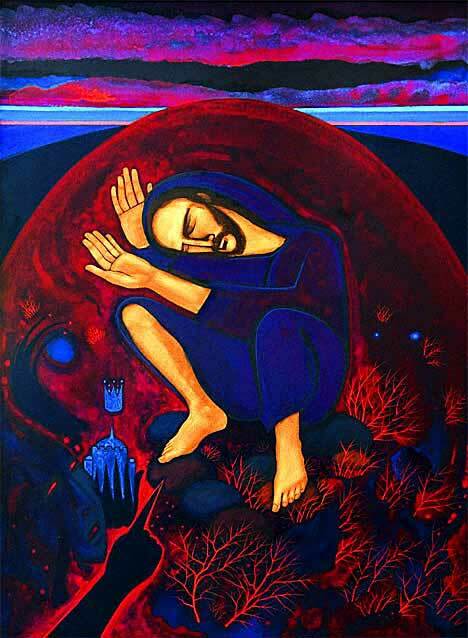 In Luke 1, the old man Zechariah sings a song we know as the Benedictus. He starts by recounting what God has already done: God has redeemed, raised up, showed mercy, and remembered. 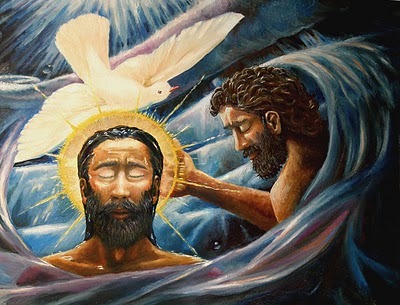 The next verse is about what his son, the one we would come to know as John the Baptizer, will do: John will prepare the way for the messiah, and he will tell the people of God’s saving love and forgiveness. 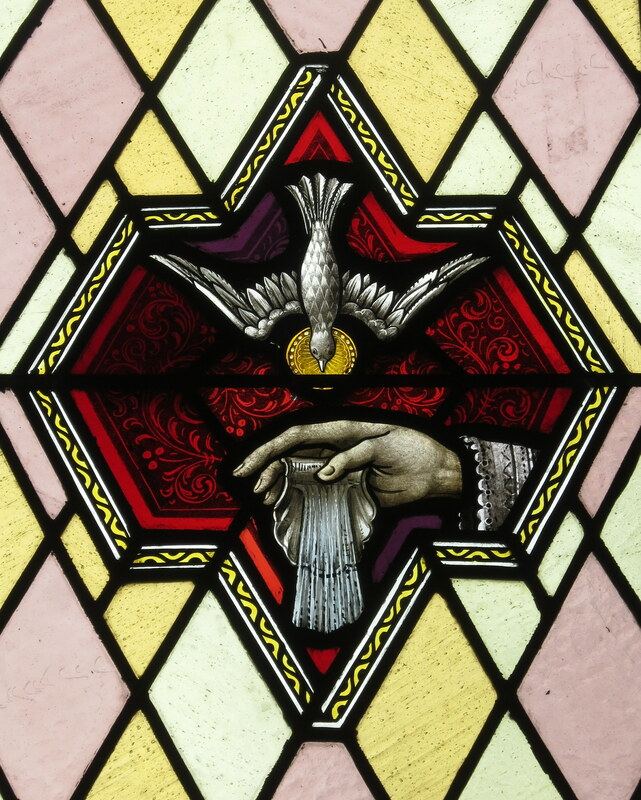 And the final refrain describes what is going to happen as a result: the tender mercy of God will come upon us, and it will shine on those who are in the darkness and under the sentence of death, and it will guide our feet in the paths of peace. In both of these passages the implication is unmistakable: God has acted, God will act, and there is a role or a responsibility for us. There is a path that we must take – the work that is before us is to walk the pathways of peace. OK, so what does that mean? How do we live in such a way so as to prepare for a reality in which swords and spears are superfluous? How do we live in a way that recognizes the fact that our God is a redeeming, raising up, merciful, remembering God? It means that we get out there and we live the faith that we talk about. We walk in the light. We move through the shadows. We stay on the path. And how do we do that? Well, here’s a clue: the paths of peace do not begin and end in this room. Let’s go back to hockey. What’s the part of the telecast that I hate the most? What’s the reason that I use a DVR to watch the games? The fact that NHL games have not one, but two intermissions. From where I sit, an intermission is 17 minutes of bad commercials, useless commentary, and talking heads. There is no action at all. Exactly. This? This is not very efficient. But listen to this: in the NHL, the intermission does not exist for the spectators or the fans. When that horn sounds and the teams traipse off to their locker rooms, that’s a chance for the players and coaches to get together and see how things are going. They look at who’s hurting. They talk about strategy. I can imagine that someone might come up to Sidney Crosby and say, “Look, #43 has been trying to ride me up the boards all night. 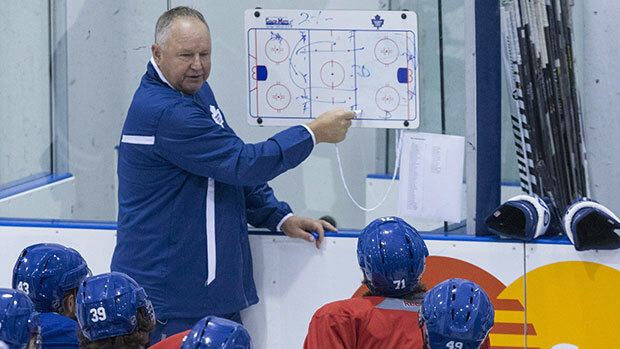 What if we faked a breakaway and you gave me a pass a step behind him?” The players and coaches use those 17 minutes to take a breather, to hydrate, to adjust their equipment, and to reflect on what’s working and what’s not. Nobody connected with the NHL thinks for a minute that intermission is the reason to sell tickets or play the game. But successful teams realize that it is crucial to use these breaks from the action to reflect on where they have been, to correct or adjust strategy, and to choose how to move forward into the time that remains. And here’s the problem: many churches, Christians, and pastors act like the hour we spend in worship every week is the primary means by which we follow Jesus Christ. And that’s just not true. It’s a load of hooey, in fact. The path of peace brings you by here now and then – but you’d better be walking in that path 24/7/365. When I was growing up, I thought that 11 a.m. on Sundays was the time when Christians played the game. I thought that was the most important hour of the week. That worship was where the action was – it was what counted. I was wrong. This? This is intermission. This is where we all stop our running around and beating ourselves and each other up and we come in here and we catch our breath for a bit. This is a sanctuary – but it’s also a locker room. And I gotta tell you, team… it looks like we’re getting beaten pretty badly right now. Team Peace is taking it on the chin. We could quit. Forget trying to do anything meaningful about the pain, suffering, and dis-ease around us and focus in on the things that we like. We have great coffee hours. And the kids seem to enjoy each other. Maybe we just re-think where we’re going. So how do we respond to the fact that we are living in a world that is by many measures more violent and less peaceful? What if we got ready to take five key young leaders and immerse them in a cross-cultural experience that will not only knock their socks off, but just might screw them up for the rest of their lives in terms of their ability and inclination to fit into a materialistic and violent culture? What if we took a couple of thousand dollars and bought a new furnace for the Open Door on Friday morning and then hosted a party for 200 neighbors on Friday evening? The ministry down at the Table, where we offer a hot meal and warm fellowship to dozens of people who need it, seems to be taking off. How about we recruit a few extra folks to staff that? Do you see what I mean? You don’t come in here because this is the place where you act like a Christian. You come in here because this is the place where we catch our breath; we talk to the team; we listen for some new direction or fresh ideas; we revisit the basics; we share our heaviness and our joy – before heading back out to where the action is. We engage in those practices because they remind us that at the end of the day, light does shine! Peace will reign. We are not here to offer a little mumbo-jumbo that somehow erases all the pain; we are here in order to be shaped and challenged and refreshed in our attempts to live lives of peace all week long! So rest this morning, saints. Catch your breath. In a few moments, we’ll have the choir sing a little number. I think you’ll like it – it’s a real toe-tapper. But that’s not the point. The point is getting you equipped, getting all of us ready to get back out there and continue walking in the paths of peace, even when it seems rough. God is doing a new thing. Not just now, but tomorrow morning and on Thursday and yes, on Saturday night. Remember that, and move toward that all week.